World-renowned physicist Stephen Hawking died in March at age 76. Hawking’s doctoral thesis, wheelchair, and 20 other items will be featured at an upcoming auction. His thesis includes notes written after the late scientist was diagnosed with ALS, a disease that caused his paralysis. The auction will also feature a script from one of Hawking’s appearances on “The Simpsons” and other scientific papers he published. An upcoming auction will include 22 of physicist Stephen Hawking’s items, including his wheelchair and his doctoral thesis about the origins of the universe. Auctioneer Christie’s announced the online sale on Monday as part of a larger auction featuring scientific papers by Charles Darwin, Albert Einstein, and Isaac Newton, the Associated Press reported. The items will be on display in London starting October 30, with bids open from October 31 to November 8. One of five remaining copies of Hawking’s 1965 doctoral thesis from Cambridge University will be part of the auction. The work, “Properties of Expanding Universes,” is estimated to be worth anywhere from $US130,000 to $US195,000. More of Hawking’s papers – including “Fundamental Breakdown of Physics in Gravitational Collapse” and “Spectrum of Wormholes” – will be sold as well. Thomas Venning, the head of books and manuscripts at Christie’s, told the AP that the doctoral thesis reflects both Hawking’s scientific achievements and his personal history. 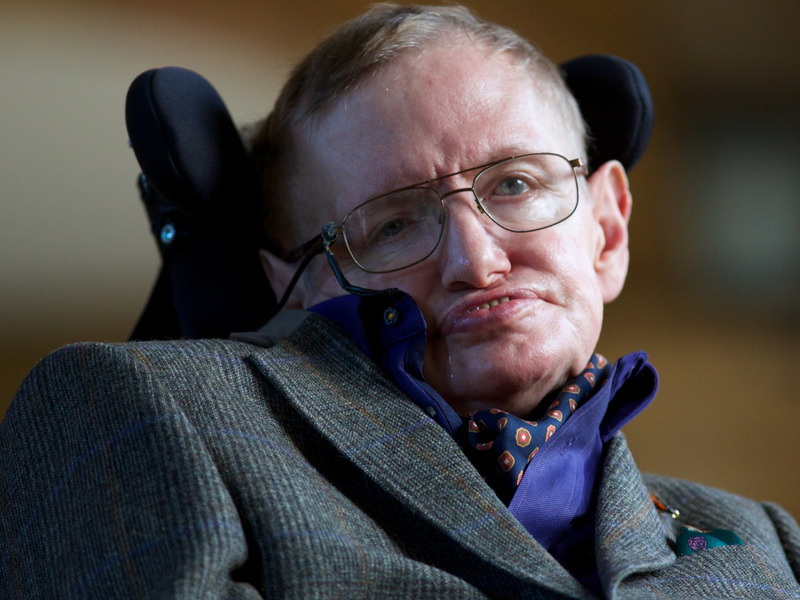 The document was signed with shaky handwriting, as Hawking finished it after beginning to show symptoms of amyotrophic lateral sclerosis (ALS), which eventually left him paralysed. Hawking was diagnosed at age 22, just after starting his doctoral studies, and doctors initially said he would only live a few more years. The scientist lived decades beyond the prognosis, and he died in March at age 76. As the disease progressed, Hawking began using a wheelchair and communicating with others using a voice-generating computer. The wheelchair, estimated to be worth between $US13,000 and $US19,500, is included in the sale. The money made during the auction will go toward the Motor Neurone Disease Association and the Stephen Hawking Foundation, which supports research related to both physics and the disease. Venning told the AP that Hawking’s wheelchair symbolises the scientist’s “puckish sense of humour.” In 1977, for example, Prince Charles reportedly got his toes crushed beneath Hawking’s wheelchair, and the scientist joked that he regretfully did not get a chance to run over Prime Minister Margaret Thatcher’s feet as well. Hawking also appeared on “The Simpsons” multiple times, and the upcoming auction will include a script from one of his show appearances. In addition to publishing numerous scientific papers, Hawking wrote books, and his popular “A Brief History of Time” will be at the auction. The copy comes with a bomber jacket that Hawking once wore.